V0.5 is the first public draft of the EEA Off-Chain Trusted Compute Specification. To participate in this work, please join the EEA along with their Trusted Execution Task Force. 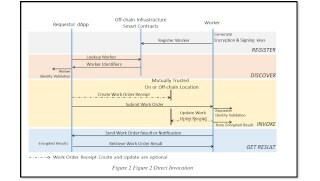 This document specifies APIs that enable Off-Chain Trusted Compute for Enterprise Ethereum, to support private transactions, offload for compute intensive processing and attested Oracles.